Cloud computing has shifted gears and now designing, deploying and managing applications on cloud is amongst desired skill sets. AWS has been the market leader for a long time in the running now and serves as a point of reference for all others in the field. But why would anyone choose an AWS certification? Read on to know why. Having an AWS certification equips you with some of the most demanded skill sets that would help you in your career in cloud computing further. As other enterprises take up multi cloud techniques, this does not diminish the relevance that an AWS certification holds. On the contrary, AWS is still the first choice of its one million customers for public cloud adoption. Continually expanding around the globe with a good financial growth graph indicates that AWS will only grow further. The components of AWS certification are very much alike to any reputed company’s internal training process which combines Vendor certification training programmes in sync with the internal training process to cater to specific business needs. There are nine certifications that AWS provides currently- one foundational level, three associate level, two professional level and three speciality level certifications. AWS Certified Cloud Practitioner is the latest entry level certification and is curated to ascertain a candidate’s complete understanding of the AWS cloud. But it needs at least six months of experience in AWS cloud computing in any technical, managerial, sales, etc roles. It is a multiple choice question exam with a time frame of 90 minutes and costs $100 to take it. The AWS Certified Solutions Architect – Associate exam is specially curated to cater to those who already have experience in creating distributed applications. Candidates will be equipped to be able to display their finesse in designing, management, and implementation of applications using AWS tools and services. The exam is of Multiple-choice multiple-answer format with 130 minutes and costs $150. It covers network technologies and their functionality in AWS, AWS based applications and the relation between AWS platform and client interface, building secure and reliable applications, Deploying hybrid systems with an On-premises data center as well as AWS components. The AWS Certified Developer – Associate exam emphasizes on knowing about developing and maintaining AWS-based applications. There is a need to know how to write actual codes that involve AWS software to access AWS applications within custom business applications. The exam is multi answer-question format, is 80 mins long and costs $150. The AWS Certified SysOps Administrator – Associate exam is the only certification that is developed for system administrators. To qualify this exam the candidate requires both technical expertise and conceptual knowledge of the operational aspects of AWS. Past experience as a Linux or Windows administrator will be a bonus. The exam is of multiple choice answer-questions format, is 80 minutes long and costs $150. The Certified Solutions Architect Professional certification requires a lot of technical skill and experience involved in designing AWS-based applications. There is a prerequisite to taking this exam is AWS certified solutions Architect- Associate, Two years of hands-on experience designing and deploying cloud architecture on AWS and some amount of knowledge of multi application architectural design. The format of the exam is multiple choice answer- question, is 170 minutes long and costs $300. The DevOps Engineer certification comprises of provisioning, operating, and managing applications on AWS. This exam focuses heavily on continuous delivery (CD) and automation of processes, two fundamental concepts of the DevOps movement. 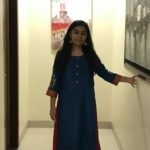 There are few Prerequisites to this certification are- being AWS Certified Developer – Associate or AWS Certified SysOps Administrator – Associate, experience in provisioning and managing AWS-based applications, as well as a firm understanding of modern application development such as the agile development methodology. The format of this certification of multiple choice answer- questions, is 170 minutes long and costs $300. AWS specialty certifications are curated to ascertain a candidate’s skills in big data and networking. The prerequisites to the certification are Current associate-level certification and a minimum of five years of relevant experience, the format of the exam is multiple choice answer-questions, time duration is 180 minutes and costs $300. The AWS Certified Big Data – Specialty certification is designed for those with a background in data analytics and experience with AWS services for designing and architecting big data solutions. It is curated to ascertain a candidate’s experience in extracting value from data using AWS services. The AWS Certified Advanced Networking – Specialty certification is curated to ascertain a candidate’s compatibility with performing complex networking tasks on AWS and hybrid IT networking arena. Candidates are required to know about architecture and implementations of network solutions on AWS. It covers designing, creating, deploying cloud solutions with AWS, core services in tune with best architectural techniques, automation of network deployment tasks for AWS, security and compliance design and implementation, etc. The AWS Certified Security – Specialty certification covers knowledge about specific security pros and teams required to master security fundamentals based on deployment and data sensitivity, follow best practices, and build deep knowledge in key services unique to AWS, Detection and analysis of security weaknesses, better selection of data protection and encryption mechanisms, infrastructure security, incident response, identity and access management, monitoring and logging. 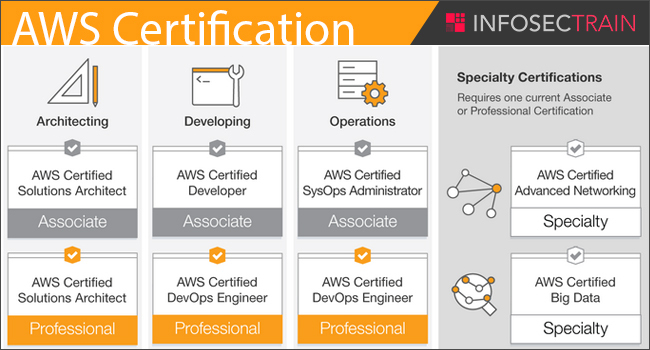 In order to display a certain level of expertise and knowledge of best practices for the most up to date AWS services, Certification holders need to re-certify every two years. It can be done by either qualifying the professional level of the same certification or qualifying the re-certification exam of the existing certification level. Re-certification exams is 80 minutes long and cost $75. Constantly learning and improving is however required along with the certifications to reap the best rewards.